Our staff at Medifocus is committed to keeping our subscribers to the Medifocus Digest Alert on Chronic Lymphocytic Leukemia abreast of the latest new research developments that have recently been published in the medical literature for this condition. In this issue of the Digest Alert, you will find a focused list of hand-picked journal article references that represent the latest advances in basic and clinical research for Chronic Lymphocytic Leukemia. These articles represent the current state-of-the-art of the research that will hopefully lead to additional major advances and breakthroughs in the clinical management of Chronic Lymphocytic Leukemia. You can access the summaries of each article referenced below by simply clicking on the article Title. We will continue to update you with the latest scientific and clinical developments through the Medifocus Digest Alert on Chronic Lymphocytic Leukemia every 3 months. Thank you for your ongoing subscription to this publication. 1: Safety and activity of ibrutinib in combination with nivolumab in patients with relapsed non-Hodgkin lymphoma or chronic lymphocytic leukaemia: a phase 1/2a study. Institution: Memorial Sloan Kettering Cancer Center, New York, NY, USA. Electronic address: younesa@mskcc.org. Barcelona, Spain. Red Cancer (CIBERONC), Barcelona, Spain. Jerusalem, Israel. University, Tel Aviv, Israel. Barcelona, Spain. Brisbane, QLD, Australia. Journal: Lancet Haematol. 2019 Feb;6(2):e67-e78. doi: 10.1016/S2352-3026(18)30217-5. Epub 2019 Jan 11. 2: Umbralisib in combination with ibrutinib in patients with relapsed or refractory chronic lymphocytic leukaemia or mantle cell lymphoma: a multicentre phase 1-1b study. Institution: Department of Medical Oncology, Dana-Farber Cancer Institute, Boston, MA, USA. Electronic address: matthew_davids@dfci.harvard.edu. Institute, Boston, MA, USA. USA. Journal: Lancet Haematol. 2019 Jan;6(1):e38-e47. doi: 10.1016/S2352-3026(18)30196-0. Epub 2018 Dec 14. 3: Immune-mediated hemolytic anemia and thrombocytopenia in clonal B-cell disorders: a review. Institution: Mayo Clinic, Rochester, Minnesota. Journal: Clin Adv Hematol Oncol. 2018 Oct;16(10):670-676. 4: Richter transformation in the era of novel agents. 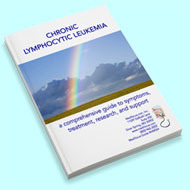 Institution: Chronic Lymphocytic Leukemia Group, Division of Hematology, Mayo Clinic, Rochester, MN. Journal: Hematology Am Soc Hematol Educ Program. 2018 Nov 30;2018(1):256-263. doi: 10.1182/asheducation-2018.1.256. 5: Relapsed CLL: sequencing, combinations, and novel agents. Institution: CLL Center, Division of Medical Oncology, Dana-Farber Cancer Institute and Harvard Medical School, Boston, MA. Journal: Hematology Am Soc Hematol Educ Program. 2018 Nov 30;2018(1):248-255. doi: 10.1182/asheducation-2018.1.248. 6: Selecting Frontline Therapy for CLL in 2018. Institution: Department of Leukemia, The University of Texas MD Anderson Cancer Center, Houston, TX. Journal: Hematology Am Soc Hematol Educ Program. 2018 Nov 30;2018(1):242-247. doi: 10.1182/asheducation-2018.1.242. 7: Ibrutinib Regimens versus Chemoimmunotherapy in Older Patients with Untreated CLL. Institution: From Ohio State University Comprehensive Cancer Center, Columbus (J.A.W., A.S.R., N.A.H., W.Z., K.A.R., G.L., J.S.B., H.G.O., J.C.B. ); the Alliance Statistics and Data Center (A.S.R., A.M.B., B.M.-E., B.F., S.J.M. ), Mayo Clinic (W.D., S.A.P., M.L. ), Rochester, MN; Washington University School of Medicine, St. Louis (N.L.B. ); Duke Cancer Institute, Duke University Medical Center, Durham (D.M.B., H.E. ), and First Health of the Carolinas Cancer Center, Pinehurst (C.K.) - both in North Carolina; the University of Rochester Medical Center, Rochester, NY (P.M.B. ); Stanford University School of Medicine, Stanford (S.C.), and the City of Hope Comprehensive Cancer Center, Duarte (A.H.) - both in California; Dana-Farber Partners CancerCare (J.R.B., R.M.S.) and the Massachusetts General Hospital Cancer Center (J.S.A.) - both in Boston; Fort Wayne Medical Oncology and Hematology, Fort Wayne, IN (S.N. ); University of Chicago Comprehensive Cancer Center (R.A.L.) and Loyola University Chicago (S.E.S.) - both in Chicago; the University of Calgary, Tom Baker Cancer Centre, Calgary, AB, Canada (C.O. ); and the Division of Cancer Treatment and Diagnosis, National Cancer Institute, Bethesda, MD (R.F.L.). Journal: N Engl J Med. 2018 Dec 27;379(26):2517-2528. doi: 10.1056/NEJMoa1812836. Epub 2018 Dec 1. 8: The percentage of cells with 17p deletion and the size of 17p deletion subclones show prognostic significance in chronic lymphocytic leukemia. Institution: Department of Hematology, the First Affiliated Hospital of Nanjing Medical University, Jiangsu Province Hospital, Nanjing, China. ; Key Laboratory of Hematology of Nanjing Medical University, Nanjing, China. ; Collaborative Innovation Center for Cancer Personalized Medicine, Nanjing, China. Journal: Genes Chromosomes Cancer. 2019 Jan;58(1):43-51. doi: 10.1002/gcc.22692. Epub 2018 Nov 29. 9: Comparative assessment of prognostic models in chronic lymphocytic leukemia: evaluation in Indian cohort. Institution: Laboratory Oncology Unit, Dr. B.R.A.IRCH, All India Institute of Medical Sciences, New Delhi, India. Sciences, New Delhi, India. India. Sciences, New Delhi, India. Sciences, New Delhi, India. Sciences, New Delhi, India. Journal: Ann Hematol. 2019 Feb;98(2):437-443. doi: 10.1007/s00277-018-3525-0. Epub 2018 Oct 18. 10: Prognostic and therapeutic stratification in CLL: focus on 17p deletion and p53 mutation. Institution: Hospital das Clinicas da Faculdade de Medicina, Universidade de Sao Paulo/ICESP, Av. Dr. Eneas de Carvalho Aguiar, 155, 1 andar, Cerqueira Cesar, Sao Paulo, 05403-000, Brazil. vbbuccheri@gmail.com. Universidade Federal de Ciencias da Saude de Porto Alegre, Porto Alegre, Brazil. Paulo, Brazil. Journal: Ann Hematol. 2018 Dec;97(12):2269-2278. doi: 10.1007/s00277-018-3503-6. Epub 2018 Oct 12. 11: Richter's syndrome of the central nervous system diagnosed concurrently with chronic lymphocytic leukaemia: A case report and literature review. Institution: Myeloma and Lymphoma Research Center. Medical University, Dalian, Liaoning Province. Dalian, China. Journal: Medicine (Baltimore). 2018 Oct;97(41):e12701. doi: 10.1097/MD.0000000000012701. 12: On the front line: first choice pharmacotherapeutics for chronic lymphocytic leukemia. Institution: a Department of Medicine , University of Washington School of Medicine , Seattle , WA , USA. , WA , USA. WA , USA. Care System , Seattle , WA , USA. Journal: Expert Opin Pharmacother. 2018 Oct;19(15):1675-1684. doi: 10.1080/14656566.2018.1524874. Epub 2018 Sep 27. 13: Management of adverse events associated with idelalisib treatment in chronic lymphocytic leukemia and follicular lymphoma: A multidisciplinary position paper. Institution: Hematology Section, Department of Medical Sciences, Azienda Ospedaliero-Universitaria, Arcispedale S. Anna, University of Ferrara, Ferrara, Italy. Experimental Medicine, University of Pisa, Pisa, Italy. Bergamo, Italy. Milan, Italy. Torino, Turin, Italy. Italy. Denmark. Studiorum - University of Bologna, Bologna, Italy. Bologna, Italy. Journal: Hematol Oncol. 2019 Feb;37(1):3-14. doi: 10.1002/hon.2540. Epub 2018 Sep 5. 14: Remission maintenance treatment options in chronic lymphocytic leukemia. Institution: Department of Internal Medicine III with Hematology, Medical Oncology, Hemostaseology, Infectious Disease, Rheumatology, Oncologic Center, Laboratory for Immunological and Molecular Cancer Research, Paracelsus Medical University Salzburg, Austria; Salzburg Cancer Research Institute and Cancer Cluster Salzburg, Austria. Electronic address: r.greil@salk.at. Journal: Cancer Treat Rev. 2018 Nov;70:56-66. doi: 10.1016/j.ctrv.2018.08.003. Epub 2018 Aug 10. 15: Impact of age and comorbidities on the efficacy of FC and FCR regimens in chronic lymphocytic leukemia. Institution: Institute of Hematology, Almazov National Medical Research Centre, Akkuratova Street 2, Saint Petersburg, 197341, Russia. strugov@almazovcentre.ru. ; Division of Hematology, Pavlov First Saint Petersburg State Medical University, Saint Petersburg, 197022, Russia. Journal: Ann Hematol. 2018 Nov;97(11):2153-2161. doi: 10.1007/s00277-018-3409-3. Epub 2018 Jun 26. 16: Signification of protein p-53 isoforms and immune therapeutic success in chronic lymphocytic leukemia. Institution: Molecular Biology, Faculty of Medicine, Titu Maiorescu University, Bucharest, Romania. Jiu, Romania. Electronic address: nicabadeadelia@yahoo.com. Journal: Biomed Pharmacother. 2018 Oct;106:50-53. doi: 10.1016/j.biopha.2018.06.072. Epub 2018 Jun 23. 17: Fludarabine and rituximab with escalating doses of lenalidomide followed by lenalidomide/rituximab maintenance in previously untreated chronic lymphocytic leukaemia (CLL): the REVLIRIT CLL-5 AGMT phase I/II study. Institution: Department of Internal Medicine III with Hematology and Medical Oncology, Oncologic Center, Paracelsus Medical University Salzburg, Mullner-Hauptstr. 48, 5020, Salzburg, Austria. r.greil@salk.at. ; Salzburg Cancer Research Institute - Laboratory of Immunological and Molecular Cancer Research (SCRI-LIMCR) and Cancer Cluster Salzburg (CCS), Salzburg, Austria. r.greil@salk.at. ; Division of Hematology and Oncology, Laboratory for Molecular Genetics and Diagnostics, Innsbruck Medical University, Innsbruck, Austria. ; Centre for Hematology and Medical Oncology, Kepler University Hospital, Linz, Austria. ; Department for Internal Medicine IV, Hospital Wels-Grieskirchen, Wels, Austria. Journal: Ann Hematol. 2018 Oct;97(10):1825-1839. doi: 10.1007/s00277-018-3380-z. Epub 2018 Jun 4. 18: Venetoclax: A novel B-cell lymphoma-2 inhibitor for chronic lymphocytic leukemia and other hematologic malignancies. Institution: 1 Levine College of Health Sciences, Wingate University School of Pharmacy, Wingate, NC, USA. Wingate, NC, USA. USA. Journal: J Oncol Pharm Pract. 2018 Oct;24(7):517-524. doi: 10.1177/1078155217718383. Epub 2017 Jul 11.